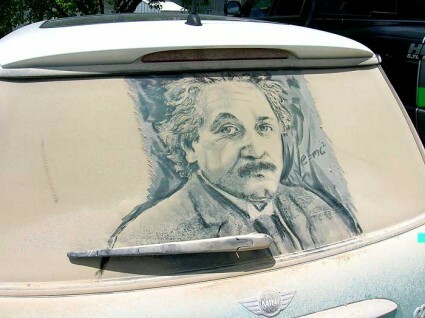 I encourage you to go to www.dirtycarart.com to see more of his amazing work. And then you can decide whether art is art or whether it is filth ! 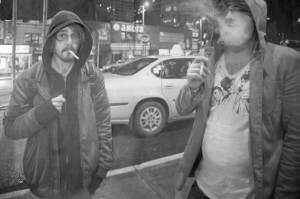 Who’s better: Jackson Pollock or Paul Cadden? The famous american artist, Jackson Pollock created an abstract piece of art that was sold in 2006 by founder of Geffen records and cofounder of Dreamworks, David Geffen, for $140 million in a private sale. Looks like the floor of my local barbers actually. 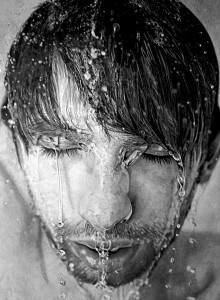 The image directly above of a bearded man with a wet face is not in fact a photo but a pencil drawing that took approximately 6 weeks to complete. Mr Cadden sells his pieces for $5 000 each. 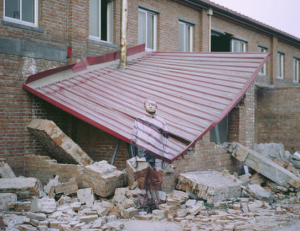 Mr Cadden, hats off to you for your extraordinary, understated talent. Mr Pollock, I’ll get my brush to sweep up the hair on the floor !! 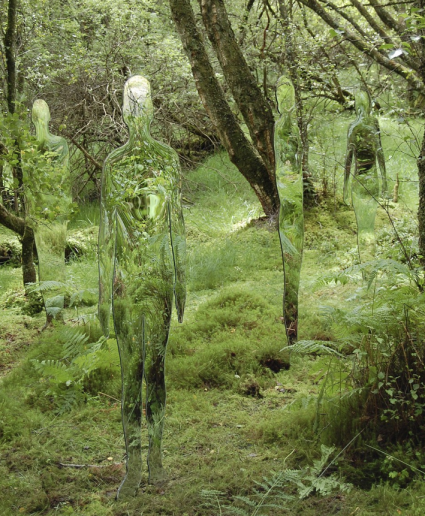 Artist Rob Mulholland has created six mirrored statues in Scottish Woodland to get people to reflect on man’s impact on the environment. 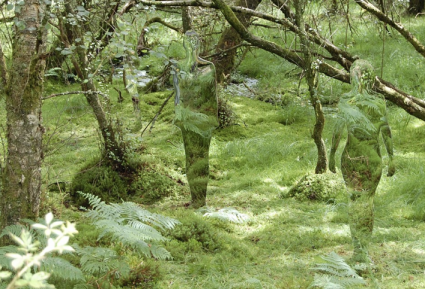 But the effects are pretty creepy for such a simple idea. And seen from another angle. 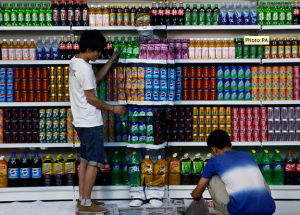 Very simple idea – very powerful visual impact. 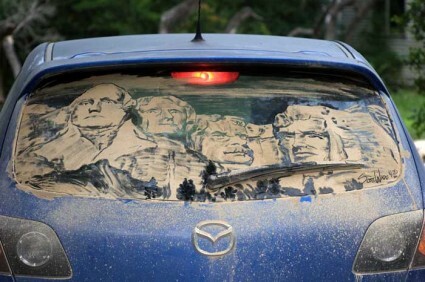 Nice one, Mr Mulholland. 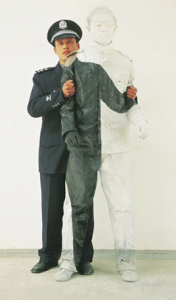 Great piece of modern artwork entitled The Plasticizer, created by Liu Bolin (the invisible man) who likes to camouflage himself in various situations. 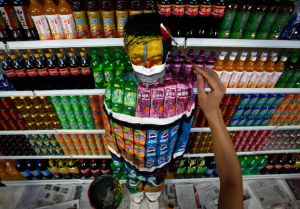 His latest work was a 10 hour creation of a supermarket camouflage and is particularly impressive. Sometimes we use the expression, I’d like to be a fly on the wall – we’ll I guess he could !